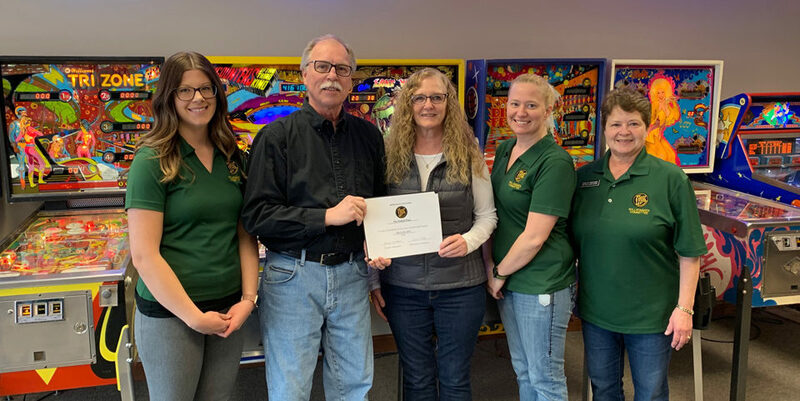 To get an update and see the changes at The Grand Center for Arts & Culture, the Willkommen Committee visited the Center and officially welcomed their new director, Anne Makepeace. Anne shared her family’s history of involvement with the building and how it became a passion for her leading her through years of volunteering and now as the director. “We’ve been going through the normal growing pains of a newer non-profit organization” she stated during the call. Currently, The Grand opened up a new gift shop highlighting local artists, utilizes Lola’s at the Grand for the food, hosts live music almost every weekend, directs 9 gallery shows and has half of the upstairs studios rented to artists. For the past 9 years, The Grand has also facilitated a juried art show, Artscape, for local artists. Anne is excited to be in a position to direct the future of The Grand including finding members and supporters as well as helping artists to make and sell their work. 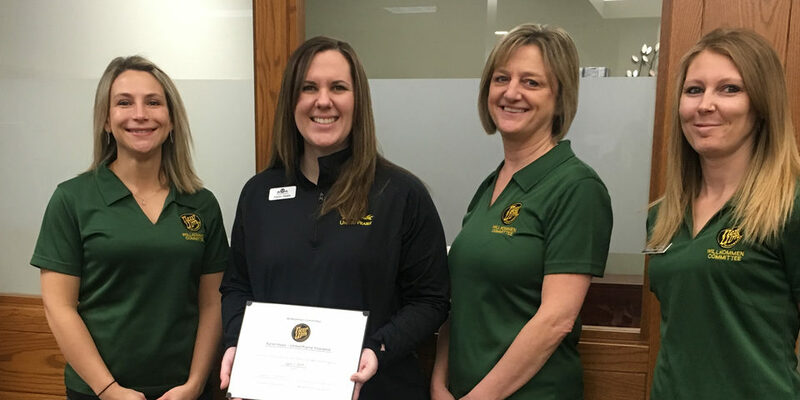 Photo Caption: Katie Nosbush, United Prairie Bank; Linda Neigebauer, Alliance Bank & Trust; Anne Makepeace, The Grand Center for Arts & Culture; and Amy Pearson, Thrivent Financial.